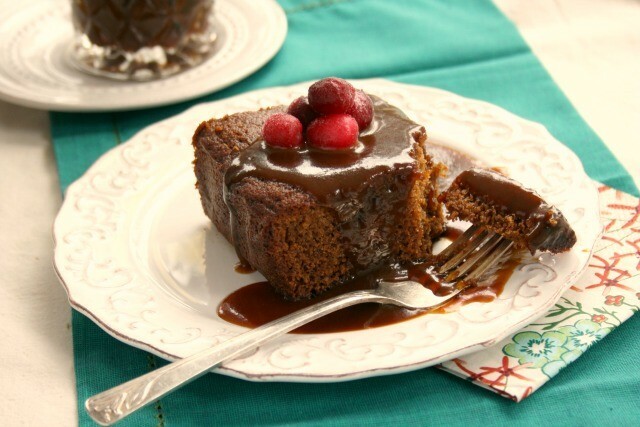 Take your gingerbread from snack cake to delectable dessert with a drizzle of Pumpkin Molasses Caramel Sauce. This rich and creamy, flavourful sauce tastes lightly of pumpkin, making it an ideal topping for gingerbread and other spiced desserts. I grew up eating a classic brown sugar sauce with my gingerbread, or sometimes a warm lemon sauce. The idea of a pumpkin sauce had never occurred to me until I was looking for ways to use up leftover pumpkin puree that I had stored in the freezer. Then I came across this recipe from Bakeaholic Mama blog. 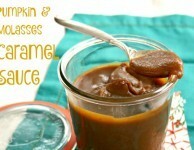 I love how the pumpkin gives the sauce more substance and adds a rich colour. Poured over warm gingerbread it lends a pudding-like texture to dessert which is oh so comforting on a cool November day. 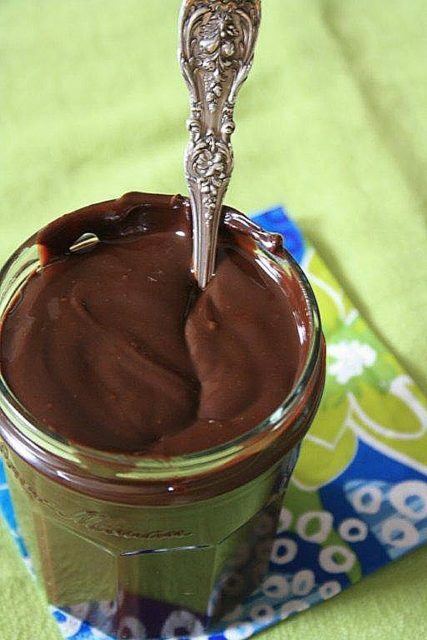 Use this sauce to dress up any dessert, pour it over ice cream, stir it into Greek yogurt or use it as a fruit dip. Drizzled over a spicy gingerbread will always be my favourite way to eat it but there are many ways to use it up. The sauce will last in the fridge for about two weeks. 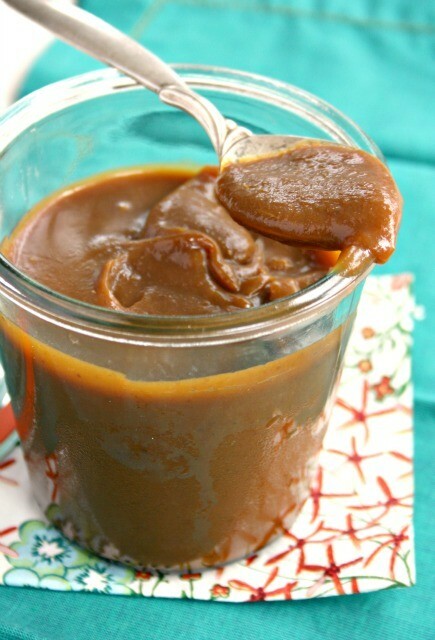 In a heavy bottomed saucepan over medium heat, warm the sugar then whisk in the molasses and butter. Bring to a gentle boil and cook, whisking constantly, until the sugar has dissolved. 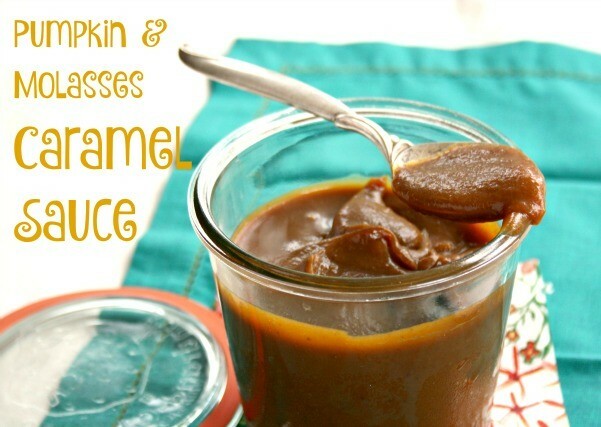 In another saucepan bring the cream to a simmer, remove from heat and whisk in the pumpkin puree. Whisk pumpkin mixture into the molasses mixture and bring to a simmer over medium heat. Continue cooking until mixture thickens and coats the back of a spoon (about 10 minutes). Store in a jar in the fridge. Reheat over medium before serving.